T,TP Peripheral PumpsCONSTRUCTIONClose-coupled peripheral pumps (regenerative pumps) with turbine impeller. T, TP: version with pump casing and lantern bracket in cast iron. B-T, B-TP: version with pump casing and lantern bracket in bronze (the pumps are supplied fully painted).APPLICATIONSFor clean liquids without abrasives, without suspended solids, non-explosive, non-aggressive for the pump materials. 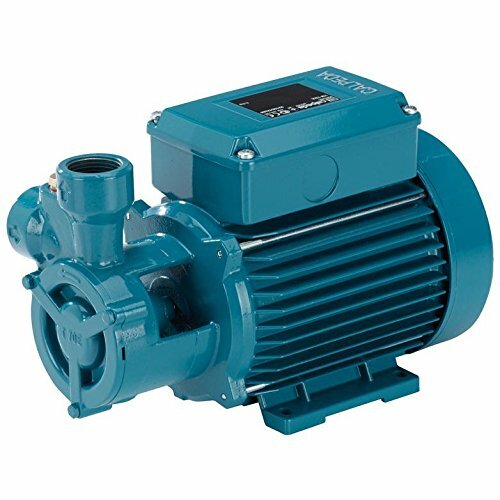 For the reduced dimensions, these pumps are very well suitable to be mounted in cooling and air-conditioning machines and equipments, circulation, boiler feed.OPERATING CONDITIONSLiquid temperature from -10 °C to +90 °C. TM, TPM: single-phase 230 V ±?10% with thermal protector. Classification scheme IE2 for three-phase motors from 0,75 Kw to 5,5 kW, IE3 for 7,5 kW.